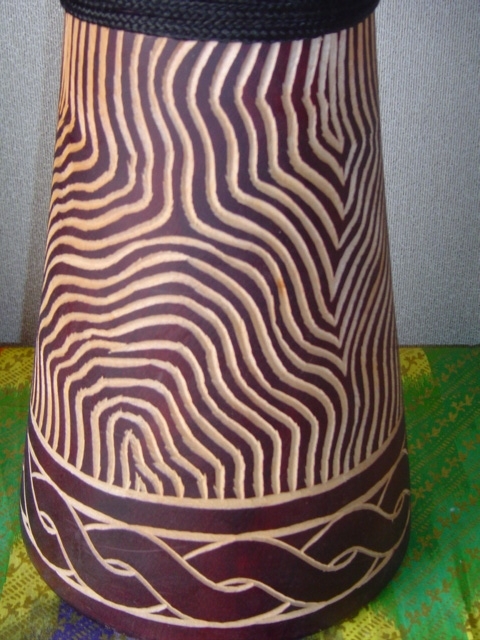 Medium size djembe. Internally braided alpine climbing rope, premium natural goat skin, solid mahogany wood. 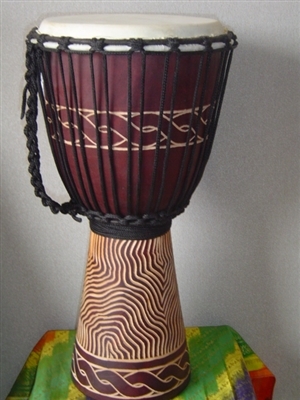 Size: 20" high x 10-11" overall head diameter. Active playing area is about 9-9.5".